After a long week at work, Fridays are meant to relax. Well it’s the beginning of the weekend and why not start at a high!! You go out with friends or colleagues to your favorite places. It’s fun but also gets monotonous as times pass. Plus you like experimenting with drinks and invent new cocktails for your friends as well. In that case… Have you thought of having a bar space at your home. A thoroughly thought about and well planned and executed bar space can steal the show and become the center-piece of your home. 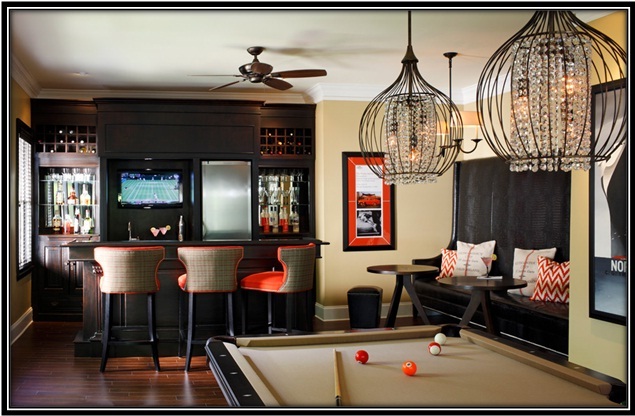 Home bar could be made in the kitchen, living room or in an entertainment room (if you have it already). You can have an extravagant bar set-up or a simple bar set-up depending on our budget limitations. You can create a home bar set-up precisely anywhere in the house by putting in a little creativity and giving it a sense of your personal style. We have a few home bar ideas for you, that are simple and yet very classy. 1. Built in Bar – well if you always had a dream of having a bar set-up at your home, then this is the set-up you could go with – a built-in permanent bar. This set-up can be little expensive, however you can be sure it will last for a longer time. Create a lot of storage space for all types of beverages, and give a thorough thought to it coz it’s a permanent set-up. 2. 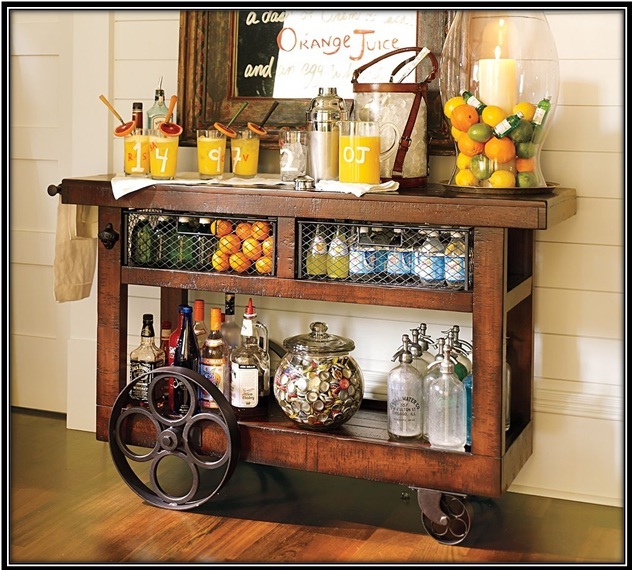 Freestanding Bar – you have made a dream house and at a later stage felt a need to have a home bar. This is the best option you could have. Off-the-rack bar set-ups are available in furniture shops and depending on the size of the free space, you can order one. 3. More than a Bar – you like hosting parties at your place and you like entertaining guests, then have a little bar counter space so that you can juggle in between and entertain your friends with all the crazy cocktails you can make. 4. Room for Guests – expand your bar a bit and add a table or two with vintage chairs or traditional bar stools for your guests. You can even add a couch and other seating that will complement your bar area and let your guests socialize more comfortably. 5. Bar Cart – this is the coolest kind. You don’t have to take hassles of building a bar or ordering a ready-made bar set-up. Just buy a moving bar cart and showcase the collection of fine scotch and it could be moved to any part of the house. It is an inexpensive and easy way to create a bar area. 6. The Appliances – make sure you have all the necessary bar appliances and the most important of all is a refrigerator for storing your beers and other beverages along with ice. Because you can’t be running all the way to kitchen again and again for making drinks. 7. Drink-ware – add a little jazz to your bar with a variety of pretty glasses for cocktails, scotch and shots. 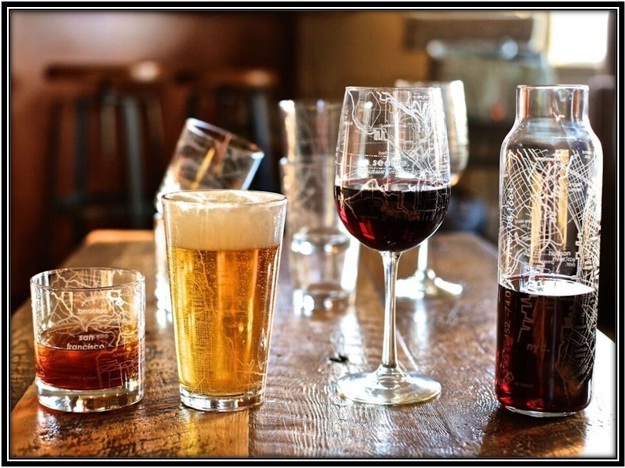 Serve ware, shakers and napkins are another part you can invest on and upgrade your bar area.